Casual Long Sleeved Riding Shirts. Perfect for fall riding this long sleeve shirt combines style with perfect temperature control. Sarm Hippique's Stretch Sport Shirt -moisture wicking. This motion wear is a high tech fabric suited to the demands of an active performing rider, the stretch in the fabric allows for range of motion and the microfibers wicks away moisture from the body and allows for breath-ability. 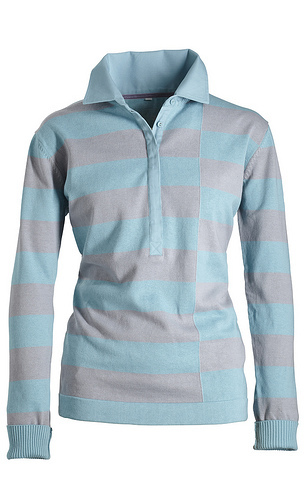 This long sleeved sports shirt with two tone color, adds flare in or out of the saddle. Perfect for schooling and jumper classes. Made In Italy.